CANTON, MA (Sept. 22, 2016) – Dunkin’ Brands Group, Inc., (Nasdaq: DNKN), the parent company of Dunkin’ Donuts and Baskin-Robbins, today announced that David Hoffmann, 48, has been named president of Dunkin’ Donuts U.S. and Canada, effective October 3, 2016. 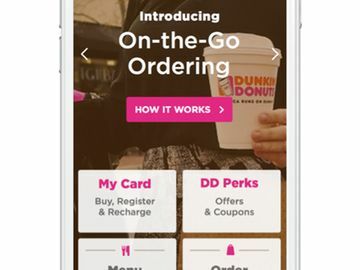 He will report to Nigel Travis, Dunkin’ Brands Chairman and CEO, and will serve on the Dunkin’ Brands Leadership Team. 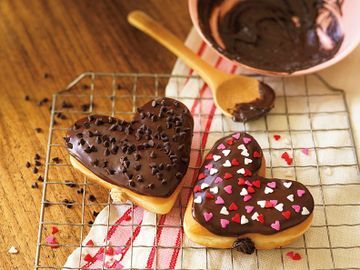 Mr. Hoffmann joins Dunkin’ Brands after 22 years with McDonald’s Corporation, where he most recently served as President, High Growth Markets, which includes China, South Korea, Russia and several additional European markets. Mr. Hoffmann replaces Paul Twohig who, as previously announced, is retiring and will stay with the company through the end of the first quarter 2017 to ensure a smooth transition. 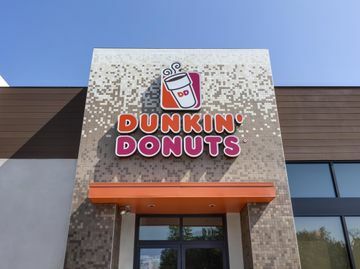 In his new position, Mr. Hoffmann will be responsible for Dunkin’ Donuts operations and marketing in the U.S. and Canada, as well as global franchising and store development for both Dunkin’ Donuts and Baskin-Robbins. Mr. Hoffmann began his career with McDonald’s as a crew member while in high school and later re-joined the company, post M.B.A., through its management training program. After holding a series of field operations positions, Mr. Hoffmann moved to the corporate office where he held leadership positions in numerous key functions including strategy and insights, development, training, operations and supply chain. Since 2008, when he was named vice president of strategy and franchising in Japan, Mr. Hoffmann has held general management positions covering a wide range of international markets including Asia Pacific, the Middle East and Africa, most recently adding several European markets to his portfolio as President, High Growth Markets. Prior to McDonald’s, Mr. Hoffmann worked for Arthur Andersen. Mr. Hoffmann earned a B.S. in accounting from Indiana University and an M.B.A. from the University of Chicago.